President Goodluck Jonathan, the haunting powers of Captain SagirKoli, a Nigerian military intelligence officer, could result in you carrying around a load of guilt in both your states of awakenness and dreams regarding the recorded Ekiti rigging matter. It could even make you emotionally, spiritually and physically challenged until you personally confront this matter on behalf of our emerging democracy. So your presentMinister of Police Affairs, JeliliAdesiyan's, tacit admission of being in the Ekiti night meeting matters not to you? Now, what about Governor Fayose's final confession of partaking in Ekiti night gathering? Jonathan, you may wish to continue to deny reality, but you can't continue to ignore the hard truths of life, such as in this matter. Possibly coming face to face with Officer Koli would be a godly thing to do. It would be democratically proper to do and it may even save you from being judged by our children and students, especially now that two of your party men admit to having been present in the non-neutral scene where an army higher-up, Major General AliyuMomoh, was present while AyodeleFayose's opposing gubernatorial contestant, DrKayodeFayemi,was uninvited. This happened at the same time when the General was supposedly in Ekiti working with both contestants in regard to security and peace maintenance. President Jonathan, it's easy to believe that in your mind that all is well with this incident, but remember the Captain is now running for his life for defending the Constitution. His teenage brother suffered child abuse from your government when he was illegally detained as a means of retaliation, and further, his wife, father and mother are all in hiding at this time. Sir, you are making this matter worse each day you fail to seek out Captain Koli and speak to him, because very soon he will be heard around the world. As it now stands, he is a direct victim of your government, and the world does not take it kindly when a soldier like Koli,who was simply trying to defend his nation, is being unjustly abused. Sir, the delay of this election is a blessing in disguise for you, Captain Koli, and the world, as in the coming days, weeks and months, his story and your role in his current suffering will become more thickened and your conscience will haunt you in a way you it has never been haunted before. Mr. Jonathan, remember Captain Koli'sstory is a human rights matter. His voice is now among those being repressed and suppressed by abusive nations, and very soon you yourself will stand accused of gross human rights abuse on this officer. Is this what you want? 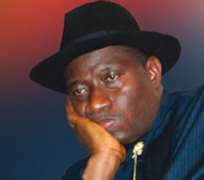 In his recent interview with a Nigerian newspaper, the Nation, he asserted, “I miss my family. I have parents. I have a wife and children. I have brothers. I have cousins. Everybody is a Nigerian.” Sir, the ball is your court now, so do something quickly. MrBuhari, with the nation and truth on your side, let Captain SagirKolibe your guest at the right time, let him sit in or by the national box with you and remember all of his loses. I say this with tears in my eyes and I pray this note meet your eyes. Disclaimer: "The views/contents expressed in this article are the sole responsibility of Dr. John Egbeazien Oshodi and do not necessarily reflect those of The Nigerian Voice. The Nigerian Voice will not be responsible or liable for any inaccurate or incorrect statements contained in this article."